Are you looking for a simple, easy remodeling project that will have a major impact? You may think a bathroom renovation is out of the question, but you’re wrong! With these clever Honolulu bathroom remodeling ideas, you can have a brand new space with minimal effort and expense. Read on for our four easy-to-follow tips. You’re not necessarily stuck with the space that your bathroom is currently in. 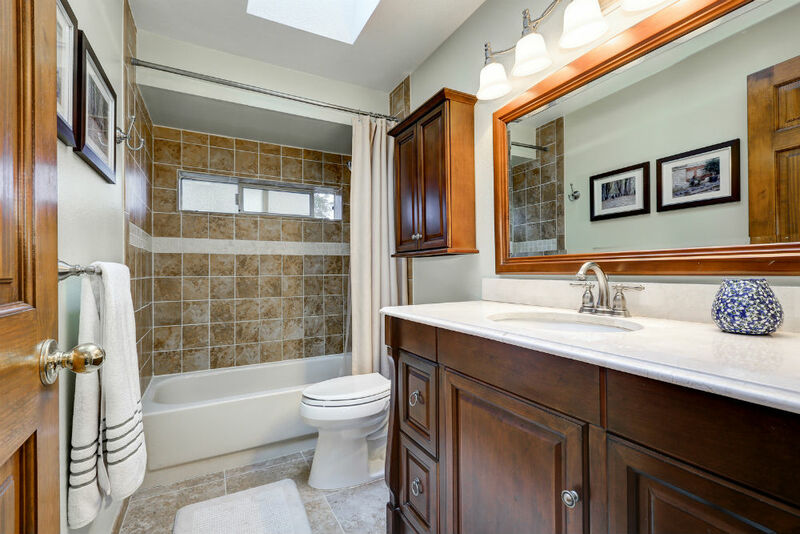 If your home has unused spaced around your bathroom, why not take advantage of it with bathroom remodeling ideas? Sometimes, all you have to do is take out one wall or add a window to let in more light. If you’re going to be adding a window, take some time to choose the right window treatment. You want privacy, but you also want to let in as much natural light as possible to make the space feel larger. Don’t have anywhere to add a window? Consider a skylight! Often, Honolulu bathroom remodeling ideas start with wanting more space. A better organized bathroom may be the only bathroom renovation you need. Adding drawers, shelves or cabinets can increase storage. If your bathroom is tiny, make them recessed so they don’t stick out and take up precious space. To make finding essentials easy, consider cabinets with glass fronts. Have enough storage but still want to amp things up a bit? Swap out your old knobs and pulls for new, decorative ones. Few things make more of a bathroom remodeling Honolulu impact than new flooring. Most bathrooms have ceramic tiling, but if that’s too chilly for your toes in the morning, consider having floor heating installed. Want to open up the space a bit? Light-colored tiles will make the room feel bigger. For the quickest update, though, get a new, colorful throw rug and strategically place it in front of the sink or the tub. If you dream of unwinding in hot bath after a long day at work, your bathroom remodeling ideas should revolve around making this space a relaxing, spa-like haven. If you have enough space, add a comfy chair that you can relax on while the bathtub fills up. Add hotel-like accessories and niceties, too, like a thick robe, oversized towels, vases with fresh flowers and scented candles. Adjust the lighting, too, so that you can have bright light when you need it, like when getting ready in the morning, and more subtle light when you want to chill out. Honolulu bathroom remodeling ideas don’t have to be extensive, time-consuming or even expensive. You can do as much or as little to your bathroom as you like and still make a major difference.